Shared hosting is a great choice for anyone starting out with a new website. In our last post we took a look at the three main types of web hosting available to anyone with a WordPress website. Shared hosting is the first of these options, and is a great choice for anyone starting out with a new website, due to its ease of use and low monthly fees. If a shared hosting plan sounds like a good match for your website and business, then this post will help you make a decision on which web host to choose. To assist you with this decision we will cover some of the web hosting companies that offer this service. 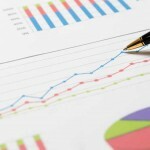 We will also take a look at some of the most well-known options that you might want to avoid despite their popularity. 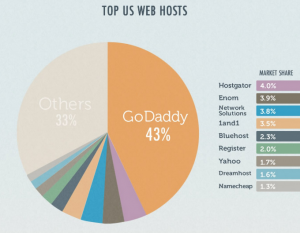 The most popular names in shared hosting are Bluehost, GoDaddy, and HostGator. It pains us to say it (in particular, we really liked Bluehost in the past), but these are all names you’ll want to avoid. GoDaddy owns not only its own hosting, but also a long time boutique and loved-by-designer-y-folks hosting company, Media Temple. Endurance has recently experienced almost monthly blackouts that last a day or more, taking all Bluehost, HostGator, etc. sites offline. Hosting with these companies could mean your website going offline for an indeterminate amount of time. We’re longtime Bluehost customers, but when your site goes missing for a day each month, it’s time to find another host. We’re longtime Bluehost customers and have suffered through these blackouts ourselves. Their customer support is great and their prices are very fair, but we had to leave them because the actual hosting is currently about as bad as it possibly can be. When your site goes missing for a day each month, it’s time to find another host. 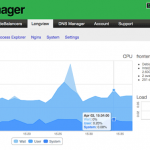 Endurance is having problems at the mooment, but GoDaddy suffers these problems too. Unlike Endurance, GoDaddy is also a controversial company (the CEO rubs a lot of people the wrong way) that is a lightning rod for politically motivated attacks. Because of name recognition, the largest shared hosts can get away with a slower, clunkier user experience. Any shared host’s job is to pack as many sites onto a single server as possible. However, GoDaddy and the main Endurance products (Bluehost and HostGator) expect that most of their customers are relatively poorly informed buyers, and so they can get away with a slower, clunkier user experience. In terms of specifics: GoDaddy’s user interface is barely usable, and it’s slow, making GoDaddy the worst overall host out there. Bluehost has a good user interface, but it’s slow. Both hosts will also curtail your theoretically “unlimited” bandwidth and disk space. This means emails alleging violations of their terms of service if you use too much disk space, and a de facto bandwidth restriction in that under too-heavy traffic your site will become unusably slow. Smaller shared hosts have to hustle and offer something special, because they’re fighting to be heard over GoDaddy’s name recognition, NASCAR sponsorships, and Superbowl commercials. If you’re in the know, smaller hosts are probably a better deal. Large referral fees can influence recommendations. Many of these well-known names that offer generic entry level shared hosting packages also offer highly competitive affiliate commissions to anyone who refers a new customer to them. These referral fees may help to explain why they are so heavily recommended by some websites and bloggers, despite less than stellar performance. Media Temple and A Small Orange are two shared hosts to consider. They started as boutique hosts, and then were purchased by GoDaddy and Endurance, respectively. They currently still manage to offer boutiquey service, with an extra marketing oomph brought in from their recent acquisition. The only question is whether the service will slip as they continue to be absorbed into their parents. Some shared hosts who aren’t caught up in the industry consolidation include Dreamhost, InMotion, and 1and1. Results may vary with these hosts (we’ve never hosted with them and reviews are all over the place), but they’re at least not subject to the institutional drag of giant parent companies. In our recent article on finding the right WordPress hosting, one option we covered was WordPress managed hosting. While this option is often more expensive than regular web hosting, it does give you access to lots of great features, such as servers optimized for WordPress, automatic WordPress updates, and access to experienced support staff. An independent host called SiteGround offers a WordPress-specific shared hosting package that aims to combine the low monthly fees of a shared host with some premium features of a managed host, like auto-updates, advanced security, and WordPress-savvy support technicians. This could be a great option for a beginning WordPress site. SiteGround is also our current favorite shared host; we recently moved WP Business Tips over to it from Bluehost. They’re fast by comparison, reasonably priced, and they offer both an easy user interface and relatively good control over the server. We’ve had some hiccups in communication with their support team, but they’ve always been incredibly quick to reply, and have never left us hanging in the way that other hosts have. Many of the well-known entry level shared web hosting providers are marketing machines much more than they’re good hosting companies. A growing number of those companies are now owned by the same huge parents, with some of these hosts experiencing chronic outages and downtime, as well as generally slow service. We recommend you skip GoDaddy, and steer clear of Bluehost or HostGator until the default Endurance service improves dramatically. The other services we’ve named could be good alternatives, with SiteGround our current favorite (and its shared/managed hosting hybrid a really interesting possibility for new WordPress sites). Finding the right hosting is tricky without a doubt, but we hope this has given you a sense of the shared hosting space. Good luck, and we’d love to hear your questions or comments below! Excellent information in an easy to access format! THANK YOU!! I will often return to your experienced and honest advice.